Sugar output in India and outside is high this year. In this case, help from Govt to keep the Sugar price at little high to help Sugar Mills and thus help farmers get all dues may not help much. Came to know about Sugar market status now. 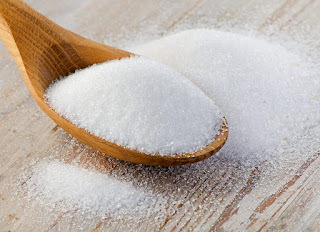 Excess Sugar is available in India and on International market. Experts think that even removing 20% export duty wont help sugar mills as international market is cheaper currently. Brazil is largest producer of Sugar. 2nd is India. Balrampur Chini has buyback offer. Plan to buy 2.81% at Rs 150. The company will spend Rs 99 Cr on the buyback. I was thinking of Sugar stock but current scenario is not supportive of Sugar price. In this case, can sugar stock gain price! Present govt want business and understand that better condition of Sugar Mills is useful to pay farmers their due. Recently, I have mentioned Dhampur Sugar and Dwarikesh Sugar. Dhampur Sugar Dec, 2017 result came good.